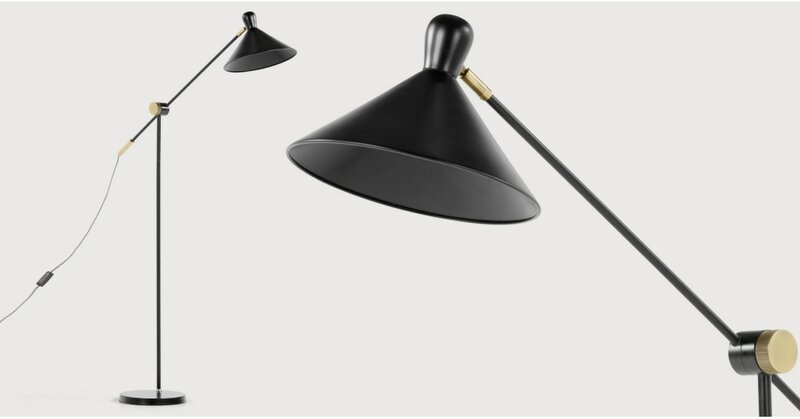 Task lamps always look really cool and industrial in living spaces. So we’ve taken that style for the Ogilvy Collection. A sleek, practical addition to our Deco Luxe look. You can adjust it at the neck, and swivel the head. The base is nice and slim, so you can slide it under your favourite chair or sofa. The cone casts a wide pool of light, but we’ve kept the lining black. It’s seamless with the rest of the lamp, and creates a more atmospheric glow.